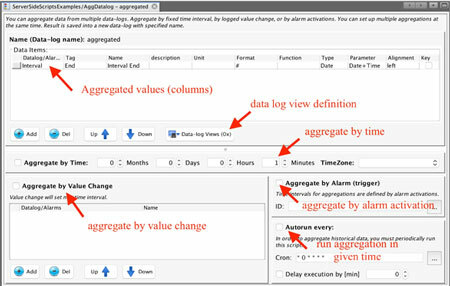 To create an aggregated data log, navigate to Aggregated Data Logs and click on New. You will be presented with the new dialog, please select a name and confirm. 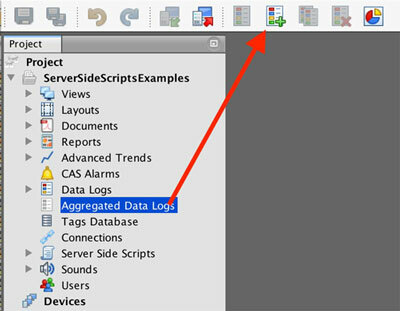 Once confirmed, a window with the definition of your aggregated data log will be opened. As you can see, the window is split into several sections. We will explain each section in detail below.